Steve wrestled at Roseville High School, Sierra College and Chico State University. In 1973 he began a seventeen year tenure, coaching the Sierra Kids Wrestling Club. In 1991 he began coaching the Del Oro Eagle Wrestling club and continued for fourteen years. During his 34 years of distinguished service to thousands of the younger Sacramento area wrestlers Steve found time to be the Assistant coach at Sierra College and also at Del Oro High School. Steve has helped organize and run 278 wrestling tournaments as well as countless duals and other wrestling events in which he was involved. Dubbed “Mr. Head Table,” Steve ran the head table at all of the major tournaments in the Sacramento area and averaged nine tournaments a year for thirty one years.In February, 2008, Steve was inducted into the Sierra College Athletic Hall of Fame. Leroy Evans was the Chairman of California USA Wrestling for many years. He received a great deal of credit for the success of this association and rightfully so. However, at his side throughout his leadership was his wife, Diane Evans. She was the person “behind the scene” that helped tremendously in keeping this organization growing as well as organized. Diane began assisting with membership and finances when California was the Northern California USA Wrestling Federation. California grew in membership and events and then California became USA Wrestling. She became the Secretary/Treasurer overseeing membership registration for athletes, coaches, officials and clubs, and insuring all local and statewide events. When the State Chairman created a newsletter and schedule of events in California, Diane was responsible for content, printing and mass mailing once a year. She was also responsible for the year-end IRS tax filings and overseeing the day to day activities of California’s non profit organization. In addition, Diane was the liaison with the national USA Wrestling office with respect to membership and year-end reports for financial accountability. A very busy woman who did an outstanding job and gave tremendous support to her husband Leroy as chairman of California USA Wrestling. Larry started his coaching career as a Basketball coach. After three years he transferred to Roseville High School and part of his job requirements was to serve as the assistant wrestling coach under head coach Keith Peterson. After one year, Larry lost his job due to budget considerations. While substituting at Mira Loma he learned that the wrestling coach was retiring and soon Larry became the head coach. After three years and one championship later, he moved to Bella Vista High School and coached football and track. This is when Larry started officiating wrestling and thirty six years later he is continues to officiate wrestling. Larry has officiate all of the major wrestling duals and tournaments in the greater Sacramento area. He was fortunate to return to his alma mater, Chico State and officiate the Doc Peterson Tournament. Doc was his fraternity adviser while at Chico State, and a big influence on Larry’s teaching and coaching activities. Larry has served the officials association as an assigner, group leader, mentor and a representative to the Northern California Officials Association. He has also been an evaluator of officials at the State CIF Wrestling Championships. The friendships of officials and coaches and helping young officials improve are the two things that are very important to Larry. Karen was a Pairing Master with the United States Wrestling Officials Association, and was selected to the Pairing Director position on the California USA Wrestling Board of Directors of which she served for many years. As a Pairing Master she worked as a Head Pairer at many of the local, state, national and international tournaments. She conducted many state and local training sessions for aspiring pairers and was very helpful and supportive of those individuals who wanted to learn the pairing process. Her efforts helped produce a strong pairing department for California USA Wrestling. She also served as the chairman of the Bay Area Wrestling Association as well as secretary and pairing coordinator. For many years at the USA Wrestling tournaments one would see Karen with her warm smile and cheerful attitude coordinating the pairing staff assignments throughout the entire one or two day tournament. Nori became involved with amateur wrestling in 1979 when her son, Cliff wrestled in age group competition as a pairint official. She joined USA Wrestling in 1984 and attained Category PMI official and FILA PairingMaster. Nori worked every National Open Tournament from1984 to 2004. In addition she worked six Junior National Tournaments, the 1984 Olympic Games in Los Angeles, twelve World Police & Fire Games, as well as the California Police Games. She also served as a pairer at over 20 Concord Cup Greco Roman International Tournaments, the Sunkist Internationals, the Western Regionals, The Womens World Trials, the Kids Nationals as well as many more local and national tournaments. Nori was also the manager for the first FILA Women’s World Championship held in Switzerland. Nori was also the treasurer and pairing director for the Bay Area Wrestling Association for many years. When not busy! She hosted teams from six international countries. She considers all of the women being recognized this evening as her best friends and they all spent a great deal of their time together making California wrestling tournaments very successful. Nori continues to donate much of her time as a volunteer at the San Bruno Senior Center and as an election officer for San Mateo County. Ed started his teaching and coaching career at Grand County Schools, Moab, Utah in 1957. He was the Driver Training Instructor, Physical Education Teacher, Assistant Football Coach and the Head Basketball and Track Coach. In 1959, he moved to Grant High School District in Sacramento where he was a physical education teacher, football and baseball coach, Junior High & High School counselor and concluded his teaching tenure by serving as the Work Experience Coordinator. Ed was very active as a wrestling official. He was the Chairman of the Sacramento area wrestling officials association for three terms. As a high school wrestling official he officiated thirty four consecutive league tournaments, thirty three consecutive Sub-Section Tournaments, and thirty one consecutive CIF Sac Joaquin Section tournaments. In addition, Ed was considered an outstanding college official and officiated numerous league and region community college tournaments including four state championships. At the college level he officiated the NCAA Division II and III National Championships, three NCAA Division I Regional Championships and 17 consecutive Doc Peterson Tournaments at Chico State. His most memorable officiating experience was when he officiated the NCAA Division II Tournament in the 150 pound championship finals won by Glen Cooper. It would be irresponsible and Ed would be “concerned” if it was not mentioned that Ed is an outstanding golfer. He has won four club championships, 22 senior championships and placed second in the 1985 Northern California Seniors Tournament. He is proud of the fact that he shot his age 428 times and in 2004 he shot his age 102 times. His tip of the day: Swing hard in case you hit it! Ron was a CIF Central Section High School Champion at 103 pounds. He was also a two time place winner at the California Community College State Championships while wrestling at Fresno City College. He also was a California Collegiate Champion while wrestling at Fresno State. He coached for one year at Fresno High School but his real enjoyment was serving as a wrestling official.. He began officiating in 1967 and forty one years later, he is still officiating. He has officiated at nine CIF State High School Championships. He has also officiated for both the CIF Central and Sac-Joaquin Sections at all of the major high school tournaments. Ron has also officiated for over 35 years at the Community College level including numerous state community college tournaments. In addition he has officiate NCAA and NAIA Collegiate matches. Ron has also served as the President of the Northern California Officials Association, President of the California Wrestling Officials Association and is currently a member of the Northern California Coaches & Officials Association. He is also the Director of Officials for the Nor Cal Tournament of Champions for junior and middle schools. Richard spent forty one years in the field of education and athletics and was a very busy and activie educator. In 1957 while coaching at San Juan High School, in collaboration with John Luceno of Roseville High School they started the first wrestling teams in the Sacramento County and coached them. He was also involved in developing the wrestling officials association. This included supervising and assigning officials for high school duals and tournaments. He also officiated wrestling during this time. He officiated many league, section and state tournaments, and served as the head official at most of these tournaments. Richard also officiated for all of the colleges in the Northern California area. This included officiating all of the major college and community college championship tournaments. The highlight of his officiating experience was officiating two NCAA Division II National Tournaments hosted by U.C. Davis. Richard also coached football and baseball for eight years at San Juan High School. He then moved to Sacramento City College where he coached football and baseball and served as the athletic director and department chairman. He also initiated the wrestling program at Sac City. Richard was also recognized for his outstanding officiating and leadership by the Woodland wrestling community, the Sac-Joaquin Section and the Northern California Officials Association Executive Board. 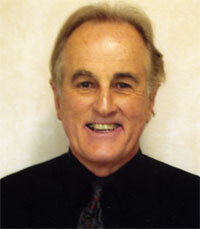 He concluded his career at Sacramento City College by serving as the Dean of Physical Education & Health. Judy has been a longtime wrestling supporter in the State of California. She has had 3 boys go through the system from USAW to NCAA level competition and she has been at their side supporting their efforts. Judy has a pairing license and is a category 1 for USAW and is also the head pairing person for California USAW. Judy was the instrumental force in setting up the kids program in Hollister called the Razorback Wrestling Club. Judy is also the president of the Board of Trustees for San Benito Union High School district. Don was a member of the San Francisco Olympic Club Wrestling Team the club being recognized as the wrestling power of the west.. As the Olympic Club Wrestling Program began to gain notoriety Don Scrimger and Doc Northrup were two of the early leaders in that program. Don would often take the younger wrestlers aside and work with them to improve their wrestling skills. He was a tough and determined wrestler as well. Once the Olympic Club gained wrestling prominence Don assisted Coach Bill Smith with managerial duties. In addition he was one of the few individuals who knew the pairing process for freestyle tournaments. In the early 1960’s Don would often do the pairing of wrestlers, prepare bout sheets and would work late into the evening to ensure the tournament being successful as well as completed. There were tournaments when Don would start pairing at 7:00 AM and work all day and night and finish as late as 2:00 AM the next morning. He was a caring person who always sought to assist in any way that he could to improve the stature of amateur wrestling, especially in the bay area. Shirley came to California after working in the state of Idaho being very involved with the Idaho Express Wrestling Club. When she moved to California permanently she was asked by Leroy Evans, State Chairperson of California USA Wrestling to prepare a written program for Mat and Pairing Officials. Thanks to her California had a plan that was the envy of every state. California was the number one state for enrolled Mat and Pairing Officials and Shirley headed almost every state tournament as well as many national tournaments. She was the first pairing official to sit on the California USA Wrestling Board of Directors. Shirley was involved with many national tournaments and she was a member of the USWOA Board in Colorado. She was one of the elite Pairing Masters in the Nationl. Shirley was responsible for organizing and setting up pairing clinics throughout California as well as conducting many national clinics. She was a pairing official for the Atlanta Olympic Games. Jim began his wrestling at the San Francisco Olympic Club in 1960. He began his teaching at an elementary school and moved to Santa Rosa Community College and from there to the College of the Redwoods where he started a wrestling program in 1966. His overall dual meet record was 114-42. Fifty five of his wrestlers were Golden Valley Conference finalists with 34 placing first in the conference. His teams won five Golden Valley Conference Championships. Seventeen of his College of the Redwoods wrestlers placed in the top five of the California Community College Championships and four of his teams won the Small College State Community College championships. He coached 34 individual conference champions and six All-Americans. . Four of his wrestlers placed in the NCAA Division III Championships headed by champion Eric Woolsey. Jim has also served as a wrestling official. He has officiated at the high school, college and international levels, including three National AAU Tournaments. He, along with Dr. Lasch started the Redwood Empire Wrestling Officials’ Association.in1965. Jim also served as the team leader for six Japan Cultural Exchange teams and he has many good friends in Japan as a result of these trips. In recognition of his contributions to wrestling Jim was awarded the National Wrestling Coaches Service Award in 1991 and the Humboldt Del Norte League Outstanding Achievement Award in 2007. He was also inducted into the College of the Redwoods Athletic Hall of Fame in 2004. He has coached high school and community college wrestling for the past twenty eight years. Max coached nineteen years at Shasta high school and nine years at Shasta College. While at Shasta he coached twenty two Northern Section Champions, forty three section finalists’ and five state place winners. Max retired from coaching in 1983, however eighteen years later he returned to play an instrumental role in having wrestling reinstated at Shasta College. Max Burch was selected as the Community College Coach of the Year in 2002. He also organized the Redding Elementary Wrestling League. Lee was a Northern California Champion in 1963 while wrestling at Modesto high school. He also was a community college champion while wrestling at Modesto Junior College. Lee attended UCLA where he was a two time Pac-8 champion and was voted the outstanding wrestler. He started his coaching career in Medford, Oregon but returned to California to coach at Downey, Ceres and Riverbank high schools. Lee became the head wrestling coach at Modesto Junior College in 1986. He coached two state champions, 18 All-Americans and 56 state place winners. He also served as the president of the California Community College Wrestling Coaches Association. He started the wrestling program at Placer high school in 1964 and over the next 24 years his team posted a dual meet record of 267-59. As the head coach his teams won seventeen league championships, 8 northeast sub-section championships and his teams finished in the top ten on numerous occasions at the Sac-Joaquin section championships. He coached ten Northern California champions. Two of his wrestlers; Gary Anderson and Steve Stratton were CIF State wrestling champions. Bill was also instrumental in starting a kid wrestling program in the auburn area and was one of the founding fathers of the Sacramento area wrestling association. Richard Fox stands among California’s most accomplished wrestling coaches. While spending a majority of his thirty-two year coaching career at Ponderosa high school he compiled a coaching record of 454-49. His teams won fourteen section dual meet titles, thirteen sub-section titles and eight Sac-Joaquin Section Championships. This is the most championships won by any coach in the section. He was selected as the California state wrestling coach of the year in 1997 and earned four coach of the year honors by the Sacramento Bee. His dedication and love for wrestling has been an influence on hundreds of young men, thirty-seven of who have gone on to coach wrestling at the middle school or high school level. He started his teaching & coaching career at Modesto high school in 1956 where he introduced the first wrestling program to Modesto city schools. In 1961 dan helped open Grace Davis high school where he served as the head football coach and wrestling coach for seventeen years. He coached a total of 48 wrestling dual team and tournament championships. In 1996 his team won the Northern California invitational tournament championship. He also served as the athletic director for twenty one years while also working as the district athletic chairperson for eighteen of those years. He retired from teaching in 1996 but continues to serve as an assistant coach for the varsity football team. He has coached football for 48 years in the Modesto district. In 1958-59, he was one of the founding fathers of high school wrestling in the Sacramento area. He coached wrestling at El Dorado high school and his teams won numerous league championships and many of his wrestlers placed in the Northern California Invitational Tournament. He moved to Sacramento City College in 1969 and spent the next twenty four years as the wrestling coach. His three best teams were in 1980-82 when they won three conference championships. Bill retired from Sacramento City College in 1992. He still teaches boating, boat safety and fishing on the rogue river for the middle school Steelheaders. He has served as the head wrestling coach at San Francisco State University for the past twenty five years. His 1997 team won the NCAA Division II national championship. He has coached nine individual NCAA Division II Champions, fifty-one NCAA All-Americans, thirty four NCAA academic All-Americans and fifty one conference champions. In addition to his coaching responsibilities he has served on the NCAA Division II games committee, the NCAA wrestling rules committee and he is a member of the sfsu presidential task force on the future of university athletics. Lars has also served as the tournament director of the SFSU community college and California collegiate open tournament for the past twenty six years. He coached wrestling at Livingston high school for twelve years. His 1974 team was the number one ranked dual match team in the state, including defeating the state championship team, Clovis high school. He coached his teams to league and section championships and in 1974 his team placed second in the Sac-Joaquin section tournament. Bud also served on the executive committee of the northern California officials association for eighteen years. He was also an evaluator of officials at the cif state wrestling tournament for twelve years.